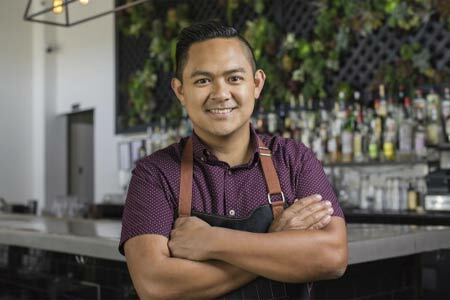 Chef Ross Pangilinan (Mix Mix Kitchen Bar) will open TERRACE by Mix Mix at South Coast Plaza in Fall 2018. The restaurant will offer market-driven small plates drawing inspiration from French, Italian, and Filipino flavors. TERRACE by Mix Mix, South Coast Plaza, 3333 Bristol St., Costa Mesa, CA 92626, no phone. TAPS Fish House & Brewery is opening TAPS Brewery & Barrel Room, a full-scale production brewery and tasting room in Tustin. Unlike its popular Brea and Irvine restaurants, TAPS’ new 1,900-square-foot venture will be casual and primarily focus on its award-winning and pioneering craft beers, with 16 dedicated TAPS beers on tap. The brews will be accompanied by an approachable food truck-style menu. The property is slated to debut in Summer 2018. TAPS Brewery & Barrel Room, 15501 Red Hill Ave., Tustin, CA 92780, no phone. Restaurateur Yassmin Sarmadi and chef Tony Esnault (Los Angeles’ Church & State) will open a French restaurant named Knife Pleat at Costa Mesa’s South Coast Plaza in early 2019. It will occupy the upscale property’s third-level Penthouse. Knife Pleat, South Coast Plaza, 3333 Bristol St., Costa Mesa, CA 92626, no phone. Marché Moderne, the French restaurant from owner/chefs Florent and Amelia Marneauin, offers a special Spontanée Menu on Mondays. The three-course prix-fixe menu ($38 for food only) changes weekly. Add a carafe of wine for $18. Marché Moderne, Crystal Cove Shopping Center, 7862 E. Coast Hwy., Newport Beach, CA 92657, 714-434-7900. 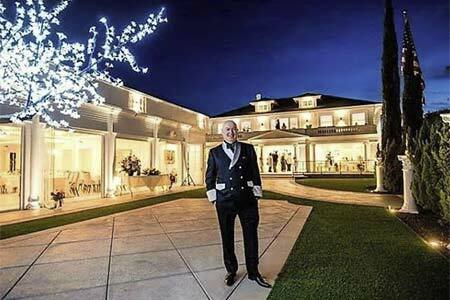 Anaheim White House has accomplished its highly anticipated re-launch. Owned and operated by OC chef and philanthropist Bruno Serato, the newly-renovated restaurant opened its doors in May 2018, one year after a fire caused severe damage to the property. Reservations can be made by calling 714-772-1381 or e-mailing [email protected] Anaheim White House, 887 S. Anaheim Blvd., Anaheim, CA 92805, 714-772-1381. 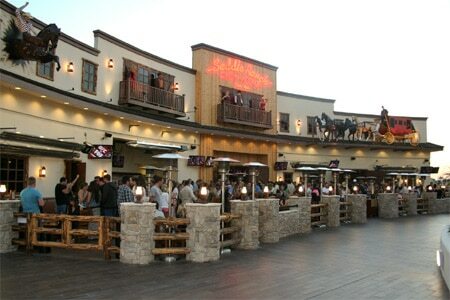 The Costa Mesa branch of Saddle Ranch Chop House has shuttered. The original Sunset Strip location of the country western venue remains open. Saddle Ranch Chop House, The Triangle, 1870 Harbor Blvd., Costa Mesa, CA 92627, no phone. Don the Beachcomber in Huntington Beach has closed after a decade in business. (The site formerly housed Sam's Seafood and Kona.) The tiki bar/restaurant/live music space is currently searching for a new location. Don the Beachcomber, 16278 Pacific Coast Hwy., Huntington Beach, CA 92649, no phone.